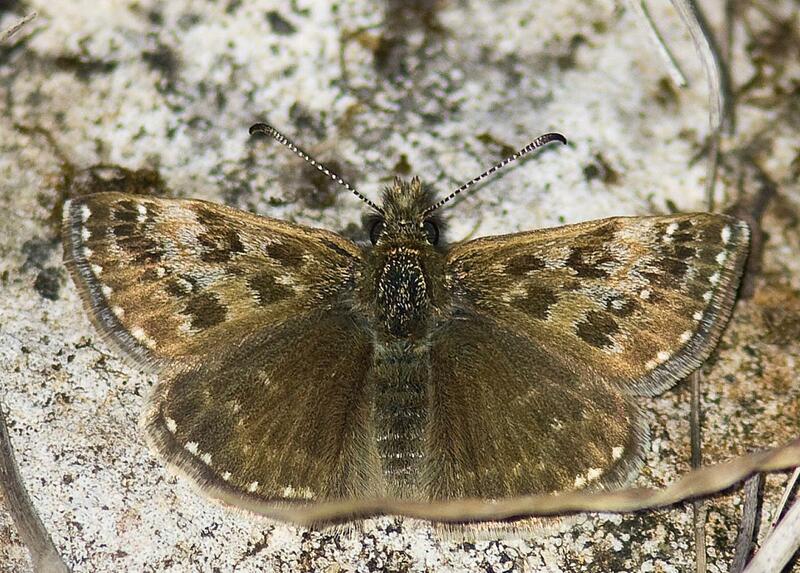 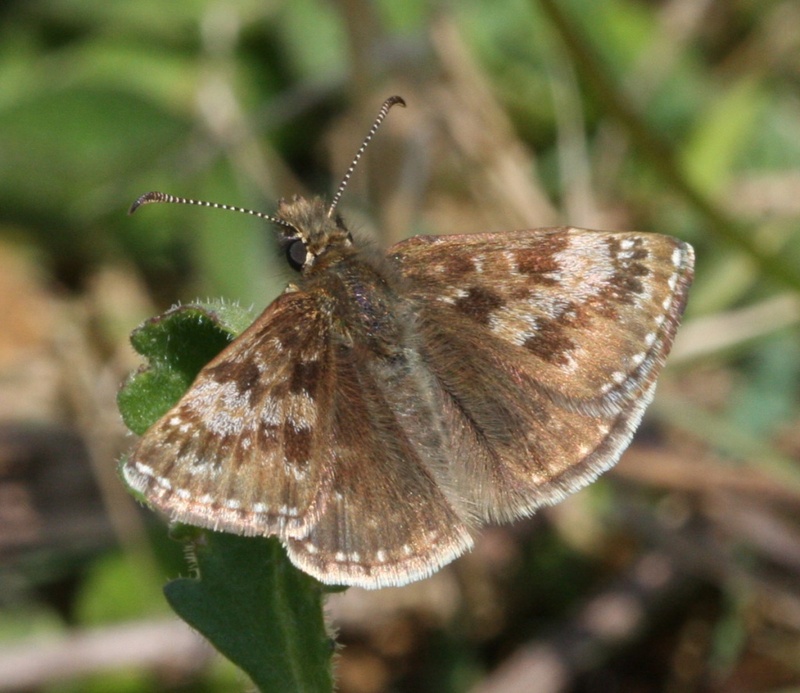 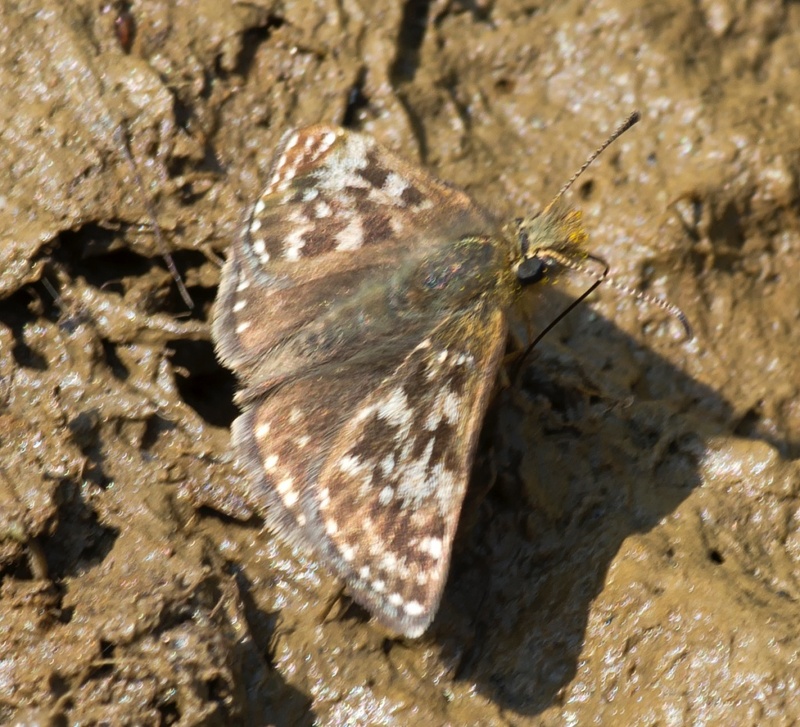 Despite its name, a freshly emerged Dingy Skipper reveals a subtle pattern of browns and greys that is quite beautiful. 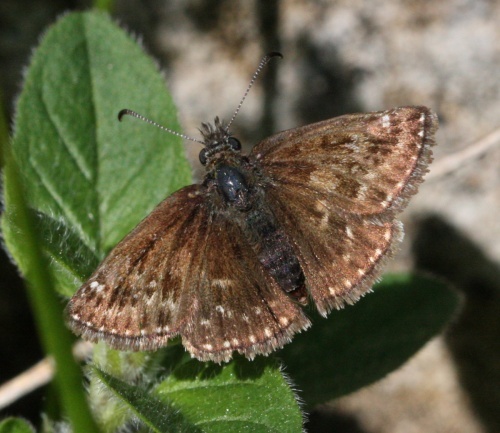 However, this butterfly does live up to its name, as scales are lost over time, resulting in a lacklustre and drab appearance. 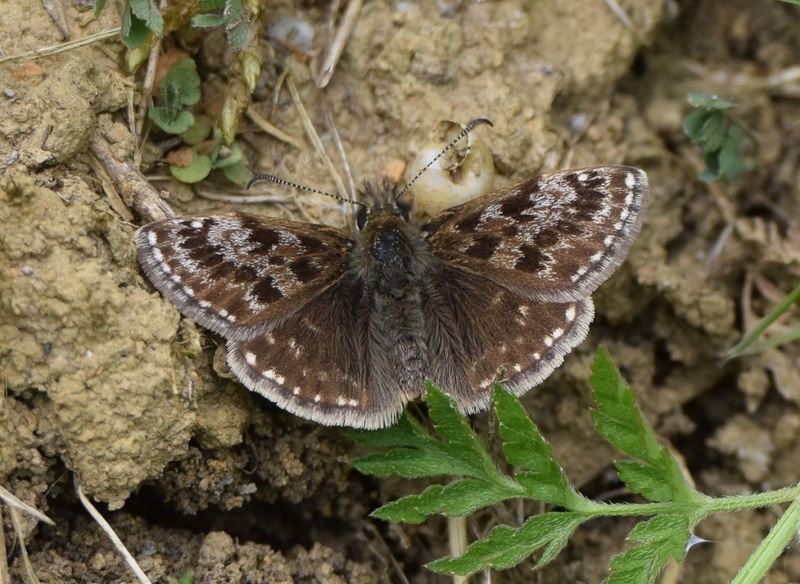 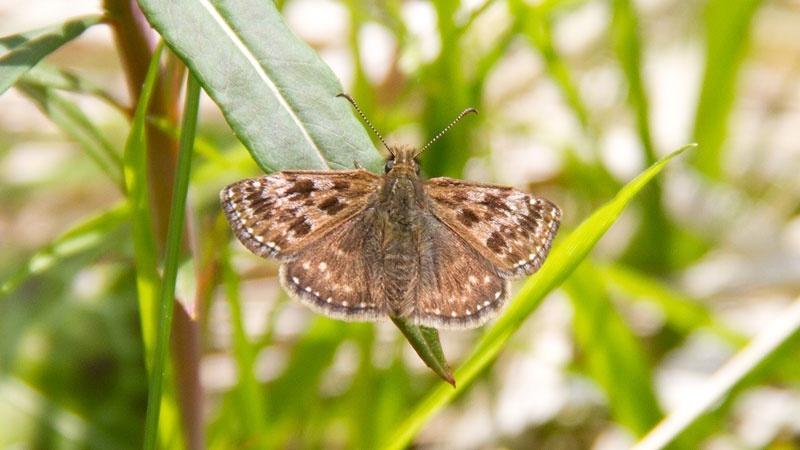 The butterfly is found in warm open areas such as south-facing chalk and limestone downland, open hillsides, railway embankments, dunes, cliffs and abandoned quarries. 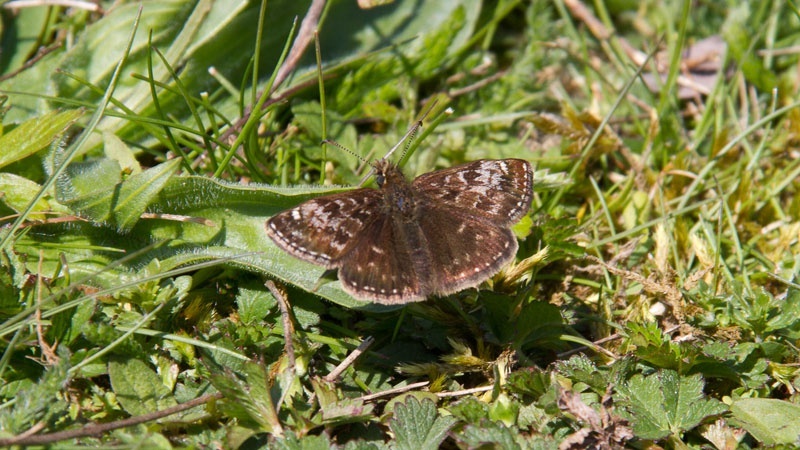 It can also be found at the ends of woodland as well as in woodland clearings and rides. The butterfly is on the wing in May and June and, in favourable years, there may be a partial second brood. 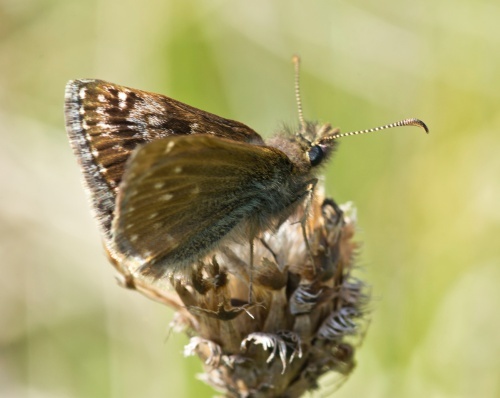 This butterfly lives in discrete colonies with little interchange between them. The main larval foodplant is Common Bird's-foot-trefoil (Lotus corniculatus). 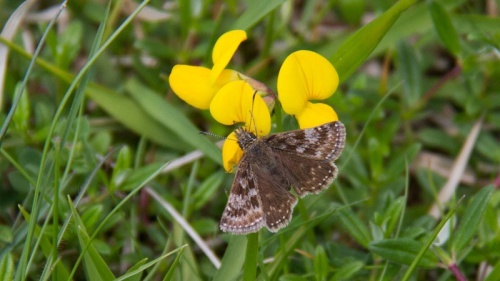 Greater Bird's-foot-trefoil (Lotus pedunculatus) and Horseshoe Vetch (Hippocrepis comosa) are also used. 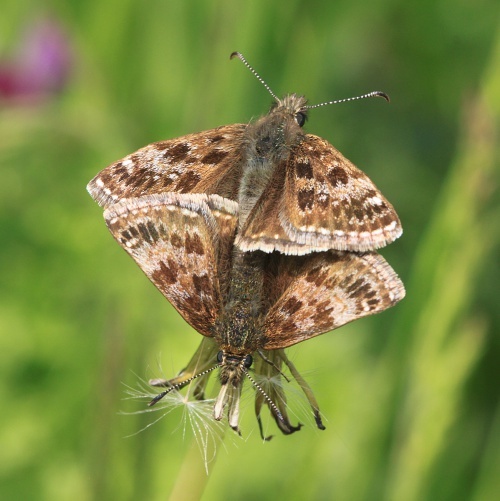 In the late afternoon the butterflies gather to roost on dead flowers or grass heads, where they take on a moth-like pose, with wings wrapped around the flower head. This is our most widely distributed Skipper, despite its decline due to changes in farming practice. 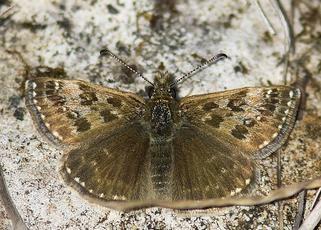 Colonies can be found throughout the British Isles, including northern Scotland. 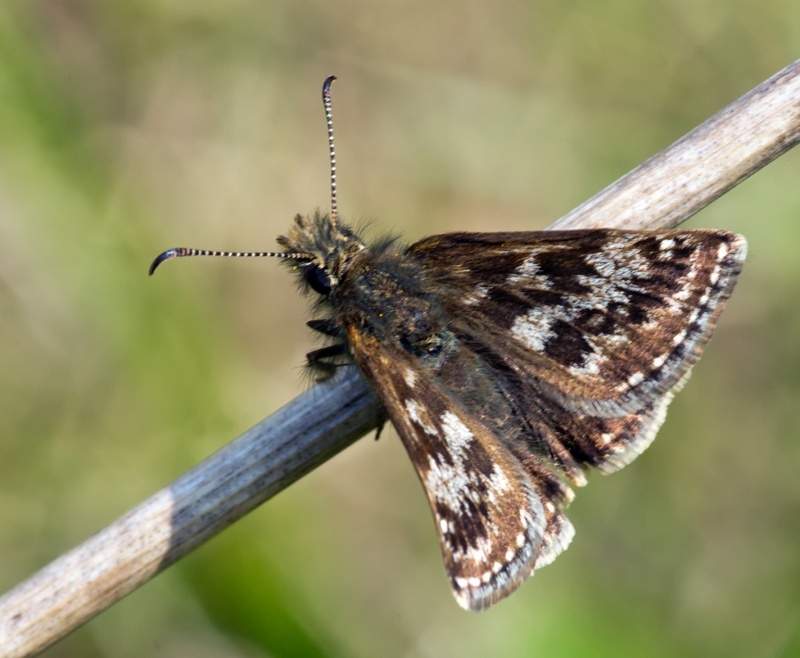 This butterfly's strongholds, however, are in central and southern England. Uncommon and only found in isolated colonies in Leicestershire & Rutland, mainly in disused quarries & railway lines.